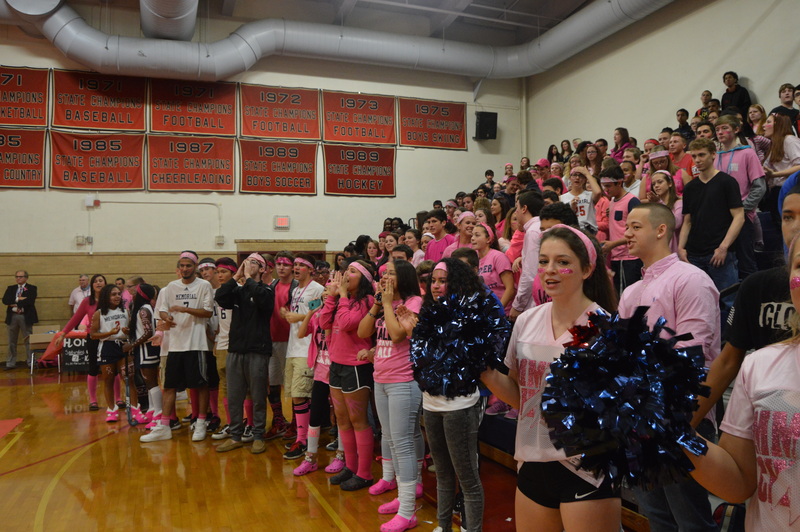 On October 9, 2015, Manchester Memorial High School held its annual “Pink-Out” celebration – a coordinated effort to raise breast cancer awareness by wearing as much pink as possible. This project proved successful when the majority of the student population showed up to school dressed in pink. The MMHS Student Council also began the selling of pink ribbons to contribute to the cause. This entire “Pink-Out” is a very simple yet effective way to support breast cancer research. I have personally witnessed students posting pictures of their pink-out outfits and breast cancer logos. This being my first “Pink Out” I was very pleased and interested in the shared enthusiasm of breast care awareness. Still, a question manifested itself in the midst of this event. What more could we do? This tradition does seem to work well, seeing as most of the Memorial student body consisted of a very large stream of various shades of pink and breast cancer related apparel, but that is where most of the support ended. I expected something more dedicated to awareness but a pep rally is understandable because of the upcoming homecoming football game and dance. Yet there are other means of spreading awareness. This terminal disease is one that is quite serious. We should be able to do more for this cause, start giving even more support, or start raising funds! It’s such an important cause, and with a school as unified as Memorial, it should be easy to gather more support. The Pink-Out turnout was such a success that I have no doubt going further in our support would result in nothing but more success. If we really reminded Memorial students of the importance of this cause, we could make a huge difference. Rallying the Crusaders into donating and broadcasting their support through social media as well as various other methods could drive more support for breast cancer awareness. Why not do more? What as a school do we have to lose if we gather more support for this cause? Absolutely nothing. I believe that to truly make a difference we should go above and beyond to raise awareness, to raise funds. Why not drive our pride into something that affects relatives, friends, family, etc? Memorial should join together and continue to fight for this ongoing battle in many women and men alike. It would only result in beneficial support for those affected or more emphasis on the proud name that is Memorial.